Other symptoms may take a few hours or days to show, including poor concentration, memory problems, personality changes and sleep disturbances. The NFL has specialists watch players for concussion symptoms. Last year brought a 16 percent increase in concussion reports. Yet there was one positive. Players self reported and initiated 28 percent of concussion evaluations in preseason and the regular season. This was up 9 percent. The NFL released these preliminary figures in January. Passed in 2010, Massachusetts’ concussion safety law requires students, parents, coaches and anyone involved in high school sports to be trained on how to identify the symptoms of a concussion. Students must be taken out of the game if they are injured and cleared by a doctor before they can return. 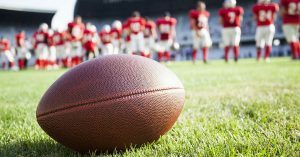 Schools are required to report the number of concussions to the state. This law provides a good foundation for educating the public about concussions and will protect students. If you are not a parent or student, you can find information about concussions online. The Mayo Clinic offers this resource. A high-impact traffic crash can cause head injuries and bruising you may not immediately see. Always receive medical treatment after a car accident. If you were traveling with a young child, it is essential. They may not be able to communicate the nature of their injuries. This is critical because car accidents are the leading cause of TBI-related deaths among children and young adults ages 5 to 24, according to the CDC. Falls are the leading cause of TBI, with children and the elderly the most vulnerable, according to the CDC. Nearly half – 47 percent – of all individuals with TBI injuries who go to the emergency room, hospital or die have fallen. There are a few steps you can take to prevent a concussion from being left untreated. Adults who care for elderly parents can talk to them about the risks associated with falls and symptoms of a concussion. First, let your parent know they should visit their medical doctor or an emergency room immediately after a fall. Then, do not assume they will. Many people are reluctant and unsure about going to a doctor. Let your parent know they can always call you and you will drive them. Parents can protect young children by gating off staircases and laying down slip guards to prevent slips and falls. This is especially important for wooden staircases. Stay informed about concussion policies at schools and daycare programs. Make sure your emergency contact information is up to date so the school can always reach you. On playgrounds, make sure your child is playing over soft material, not pavement. Give them an extra hand when venturing on new equipment for the first time. Steer them toward something else if they are not quite ready. The Boston personal injury lawyers at Breakstone, White & Gluck specialize in representing clients in cases involving traumatic brain injuries. For a free legal consultation, contact our firm at 800-379-1244 or 617-723-7676 or use our contact form.